This is my first semi-scenic wall and For an abstract-style lover like me its quite rare to do a scenic and not to mention a full painted one . 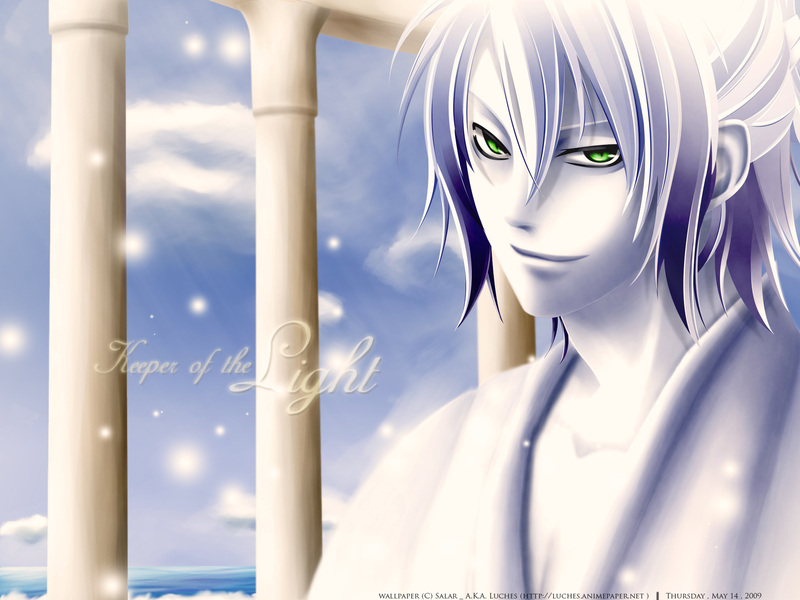 Concept: Keeper of the Light is a character from a book I read long ago.He is a heavenly being who recieves the souls of dead people and guide them to the after world. The process included lots of painting and verctoring.Everything was painted from scratch (clouds,Pillars,Sea...).Those white and shiny circles are souls of the dead people. I hope you can feel the conradiction between the character's atmospher and the BG's atmospher.His coldness would silence the warmth of the world ! This wall may look too bright on some monitores due to the great amout of white,so feel free the lower the brightness to suit your taste or readjust your monitor! Critique,Comments,FAVs are really appreciated ! his eyes are like cages to capture the heart! Thanks for sharing))) great work! Thank you. Your work is appreciated.